Nishijin is a traditional and innovative town where cafes and Western-style goods are mixed with houses from the olden days. 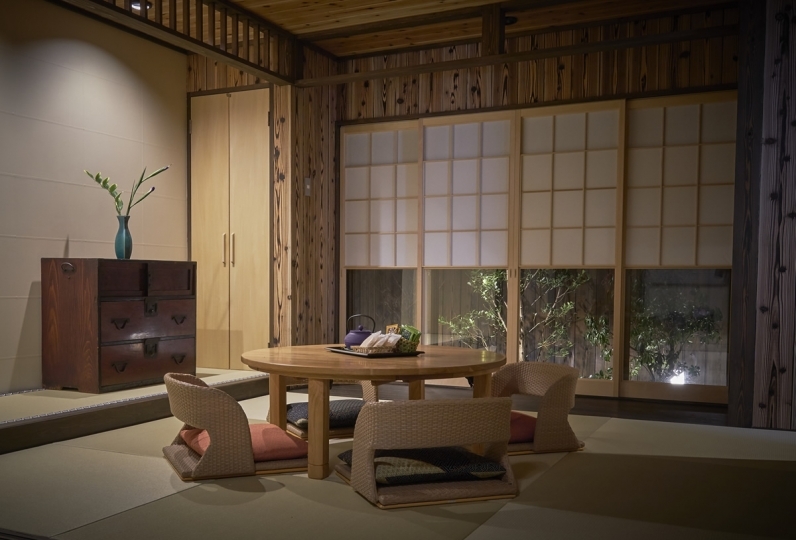 Also famous as a town of crafts, Nishijin is praised by some as being an international place where high-grade silk is produced and is in a friendly competition with Leon in France and Milano in Italy. 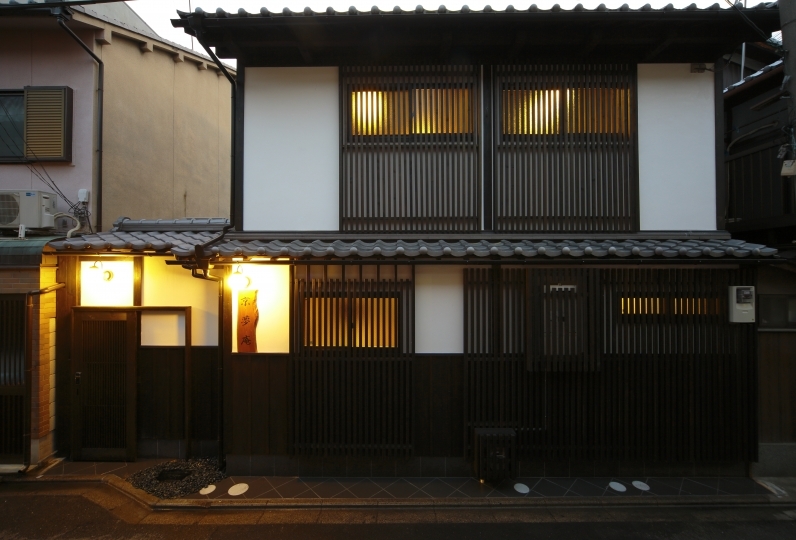 Rooted here is the two-story Kyomachiya (Kyoto townhouse). 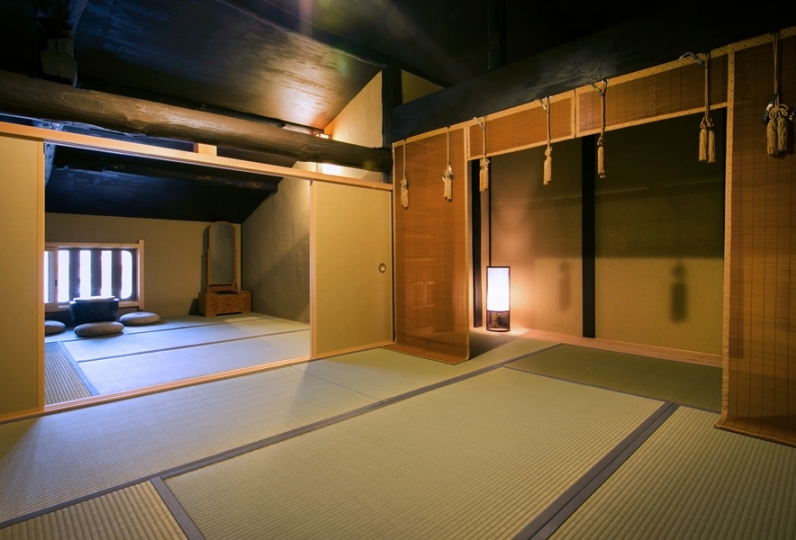 Guests can experience Kyoto culture through the warmth of the wooden building. 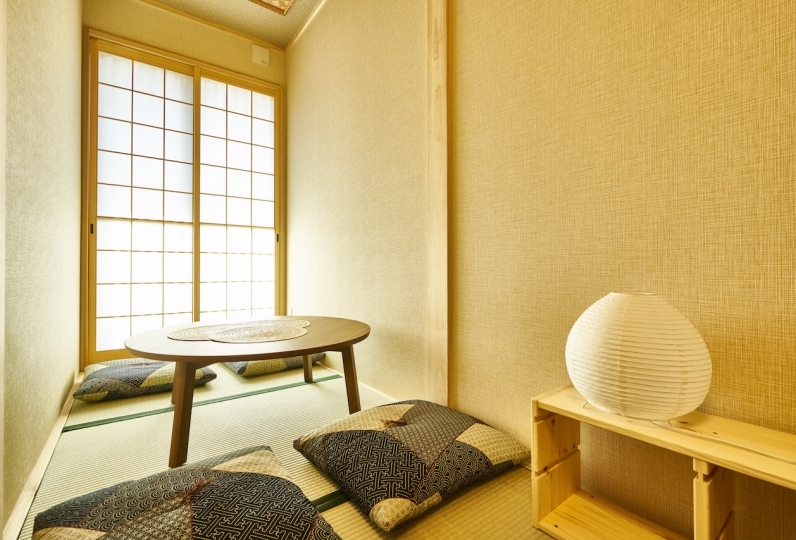 From the bath that is equipped with the room, guests may spend a quiet moment while viewing the charming grounds. 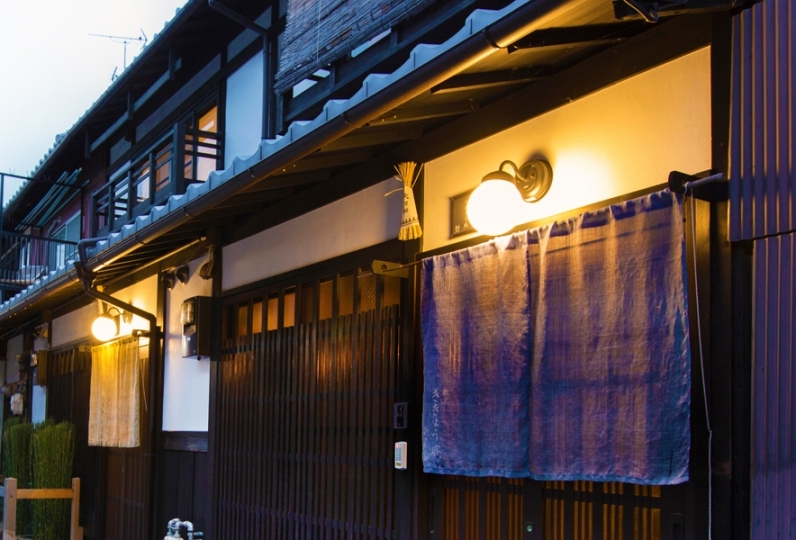 For meals be sure to go out to the long-established Kyoryouri or Kappo restaurants where you can enjoy a meal with Kyoto history. 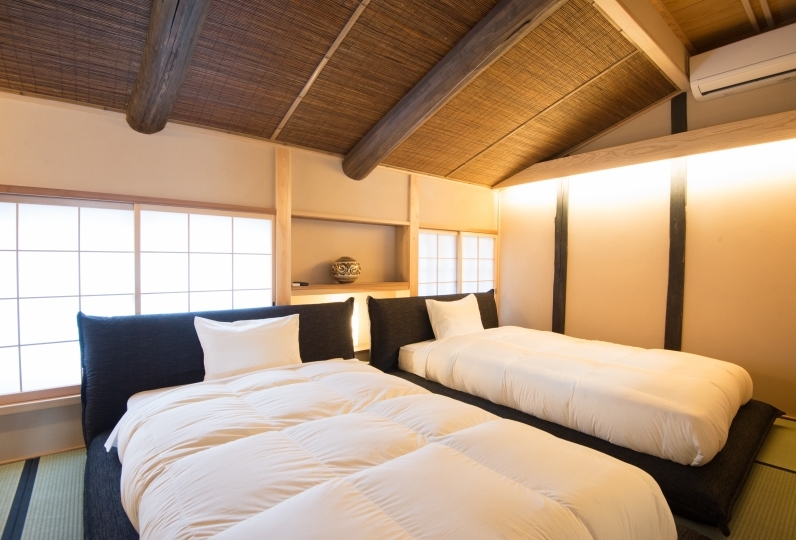 The futons are embroidered with golden thread in Karaori fashion. 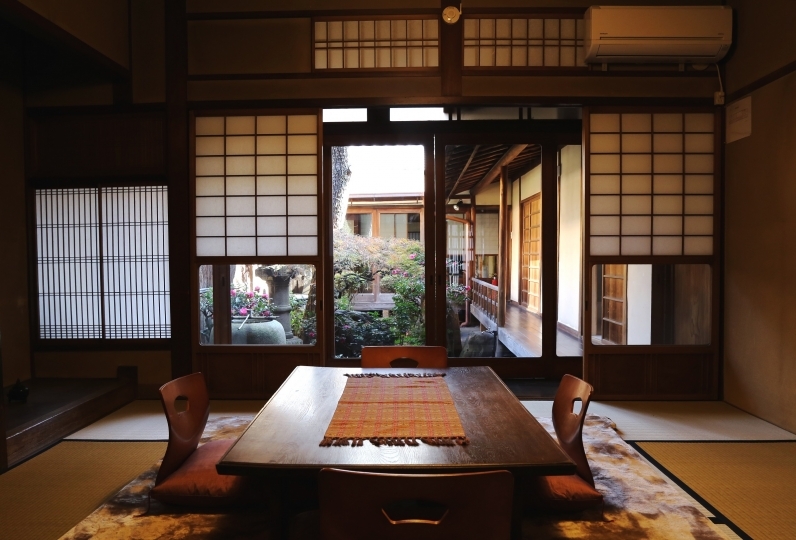 In a town of crafts we hope you spend your time experiencing the spirit of Kyoto in Nishijin. At the time of check-in, I was very polite to tell from the facilities to the surrounding tourist spots and it was impressive. However, since the story was a little longer and the later schedule had been pushed, it would be helpful if you had a talk after hearing the schedule after check-in. The rest is satisfactory! 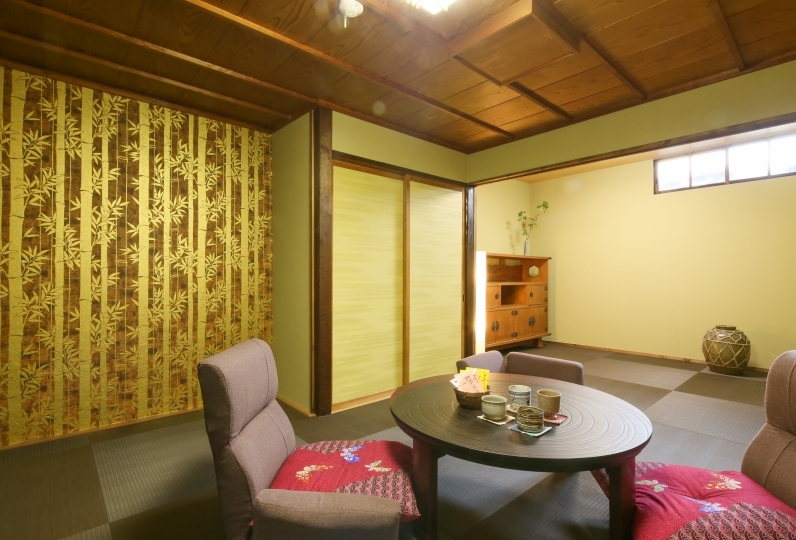 The room was also beautiful. I still want to use it. 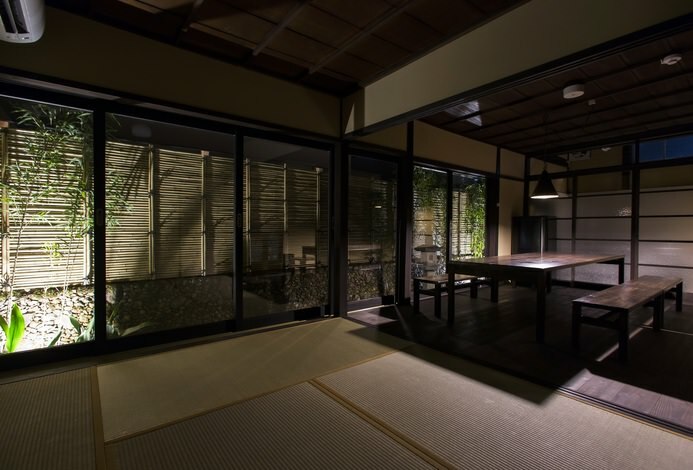 I had the luxury of staying at a town store in Kyoto pleasantly enjoyed. Also, in addition to pick-up and drop-off to and from the inn, there was a great deal of things that I had sent something to my house. If you have the opportunity, please do use it again. 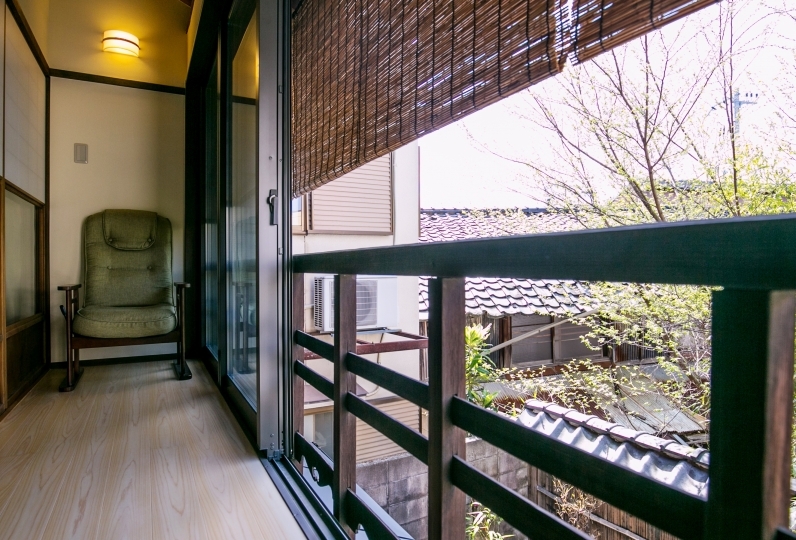 Soak yourself in the spacious bath and wash away the fatigue of travel while peering at the garden. ・Receive a map with legends of the Heiankyo. 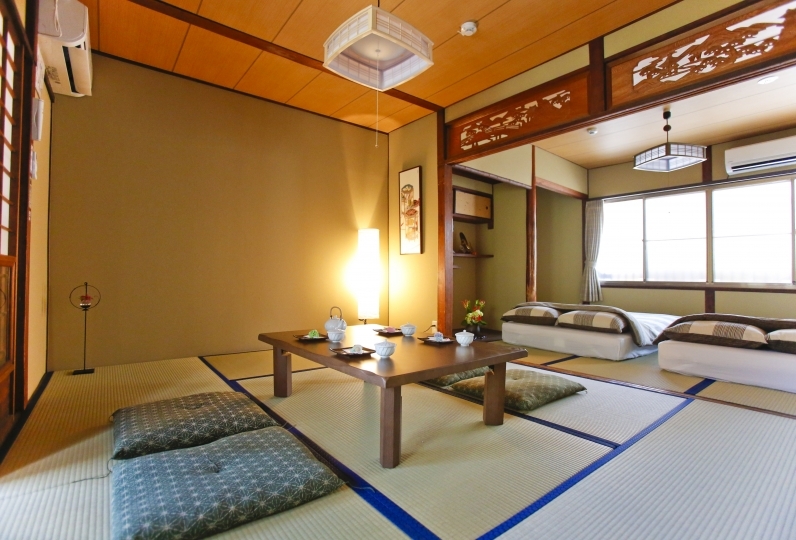 ・Benkei and Minamoto no Yoshitsune met each other southeast of Daitokuji (Goshonobashi). Minamoto no Yoshitsune's mother (Tokiwa Gozen) lived south of Daifokuji under the name of Lady Tsukiyama. 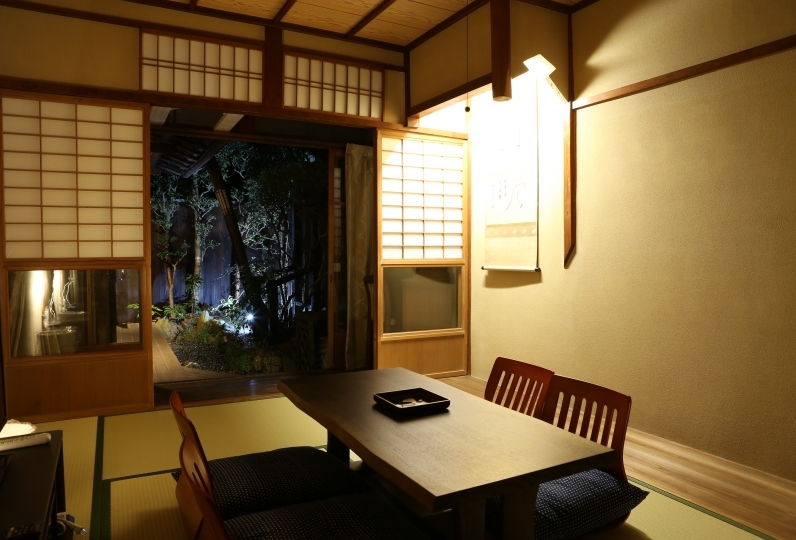 ・Yoshitsune travled to osu, departing from 'Kadoden Shrine', located a little bit past Kyoto Kyomachiya Nishijin. ・For those arriving by car please use the parking area provided. ・We have bicycles prepared for only the number of people staying with us. ・Please enjoy your meals at the restaurants nearby. ※With advanced reservation we have catering and lunch boxes prepared. During winter we can provide hotpot at your room. ・Kyoto Ekimae bus station (Bus 101)- Get off Imadegawa Oomiya- 8 minute walk to Kyoto Kyomachiya Nishijin. ・Kyoto Ekimae bus station (Bus 9)- Horikawa Tera no Uchi- 7 minute walk to Kyoto Kyomachiya Nishijin. Kyoto subway station- Take the Karasuma subway and get off at Imadegawa -Municipal bus 59, 201, 203 (roughly 5 minutes), or 13 minute walk- Get off at Imadegawa Oomiya- 8 minutes walk to Kyoto Kyomachiya Nishijin.